Yes, the Vols got to play Rocky top way too many times but after 5 weeks we’re still undefeated. Boomer Sooner baby! I know Bob, I know. The 24-17 loss to a bad Texas team put the same expression on my face. As a matter of fact, I had that exact same face that very week when I had a pop quiz in Media Law. Season ruined? Maybe. Do you know what this is? 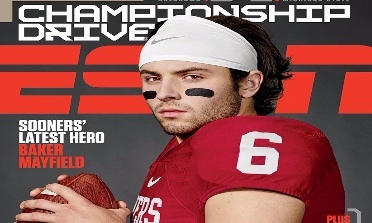 Yes, that’s Baker Mayfield. Yes, he’s on the cover of ESPN the Magazine. Neither of these are the answer I’m looking for. This is the look of a highly skilled quarterback winning machine. I’ll be honest, I thought at best OU would win one of those games. 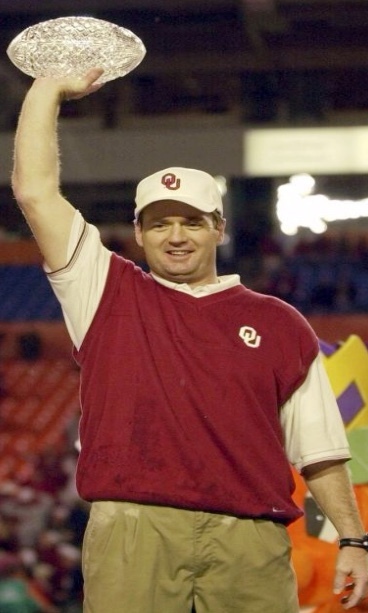 But the ghost of Bud Wilkerson loves us too much to let us underachieve; the Sooners narrowly won both games. 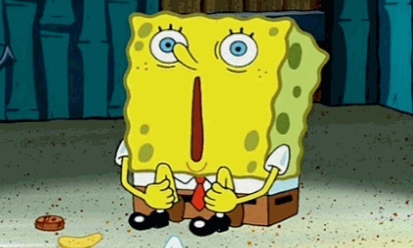 Like our good friend SpongeBob here, I was on the edge of my seat for two weeks straight. Dare I say College Football Playoff? After walloping OSU comfortably 58-23, I could just taste a national title. 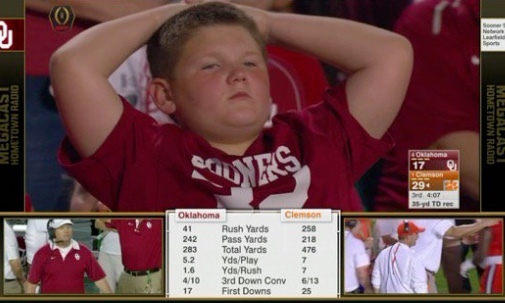 The euphoria this young Sooner fan felt in January 2001 as a fresh faced Stoops hoisted a crystal ball was seeping into my memory. 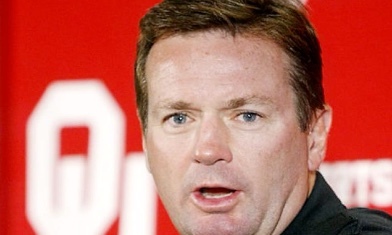 Stoops if you bring another national championship back to Sooner country, you can be governor for life. I’m not upset, I’m simply disappointed. Disappointed for allowing myself to believe that Big Game Bob would deliver OU football back to the place that was teased in several unfulfilled seasons passed. 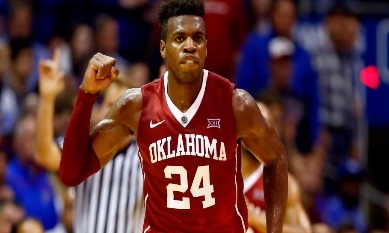 The Sooners fell short of yet another national championship. Josh Heupel isn’t walking through that door with a number 14 jersey on is he? No? I didn’t think so. Silly me.